THE Mactan Economic Zone (Mez) 1 will become the country’s first integrated ecozone concept as Cebu-based property developer AppleOne Properties Inc. (API) erects an integrated complex in the export processing zone. The development named Mahi by AppleOne Properties Inc. (API) sits on a 7,500-square-meter property. It will have information technology (IT), tourist and retail components. 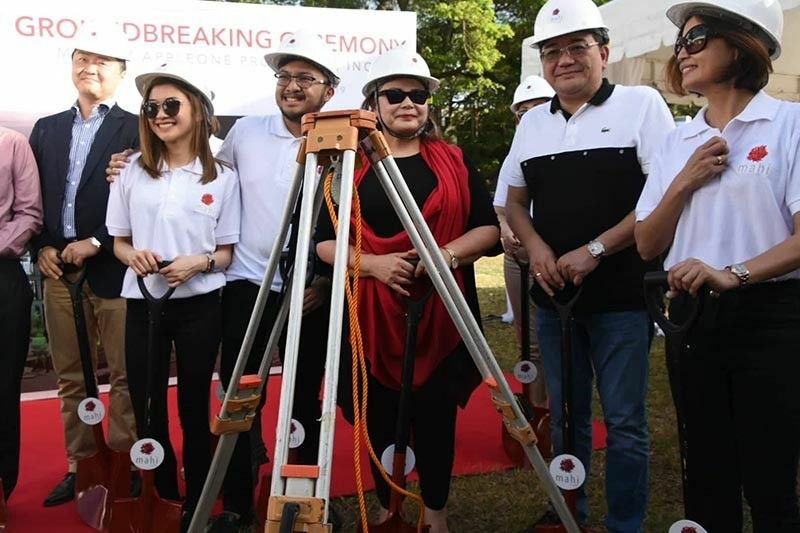 “It will change the face of the Mactan ecozone because the new concept of the Philippine Economic Zone Authority (Peza) integrates the industrial, commercial and residential components like a township,” said Peza Director General Charito Plaza at the groundbreaking ceremony of Mahi on Thursday, March 21. She said the Mactan ecozone is the first integrated ecozone concept in the Philippines where the locators and employees can work, learn and play. “The 50-year-old ecozone will now see progress with the construction of Mahi,” Plaza said. “It is a welcome contribution that will modernize the Mactan ecozone,” she added. Forty-one percent of the complex’s development is dedicated to retail and hotel spaces, 30 percent for IT and 29 percent for common utility and facility. Mahi will house a five-storey IT building and a 12-storey hotel with 180 rooms. API chief executive officer and president Ray Manigsaca said they are banking on the IT and tourism sectors, considered to be major growth drivers of Cebu’s economy. API signed a contract with the world’s largest operator of hotels, Marriott International, for the use of the franchise, Fairfield Inn & Suites. Fairfield is Marriott’s second largest brand and preferred business hotel worldwide. Manigsaca said this new venture reflects the company’s confidence and optimism in Cebu’s economy. “We will continue our expansion in the mixed-use market,” he said. He also reiterated the company’s thrust toward adding more rooms for Cebu’s growing tourism industry. “Cebu needs more hotel rooms. We will bring in more international hotel brands,” he said. API’s subsidiary, AppleOne Mactan Inc., is the developer of The Sheraton Cebu Mactan Resort and The Residences. Steve Baek, senior director for hotel development in Asia Pacific for Marriot International, said the trend in the market is for a hotel that will have the amenities that are aimed toward business and leisure on both weekdays and weekends.